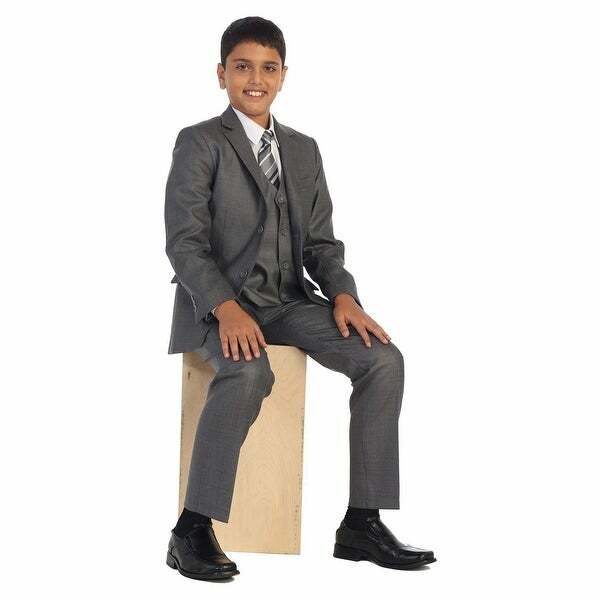 This 5 piece set makes a perfect choice for festive events for little boys. The ensemble includes a richly colored linen gray vest, formal pants, jacket, white button-down dress shirt and a matching striped dress necktie. The high quality fabric has a very fine soft texture. Classy suit for a dapper look.